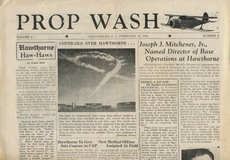 CFPNA 1943 - 1946 - Newspapers. 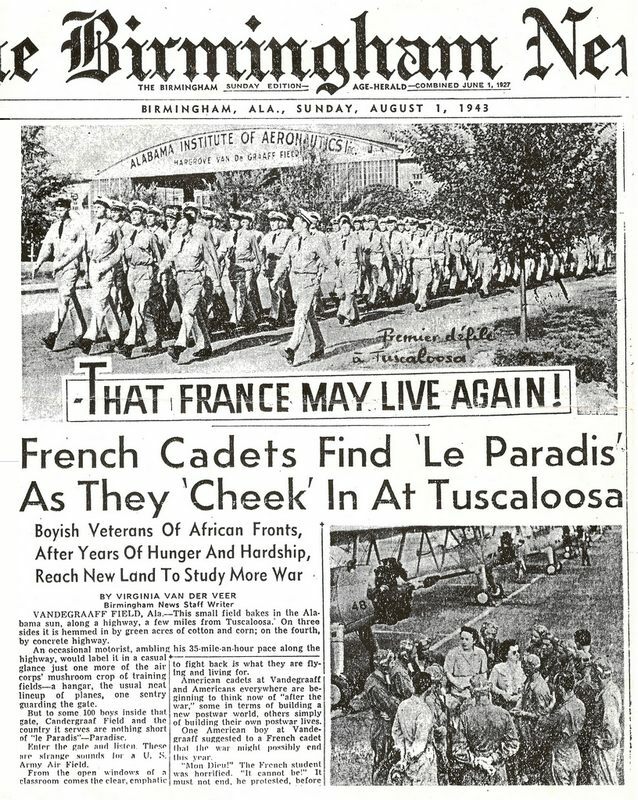 - 1er Août 1943: French Cadets Find "Le Paradis" As They "Cheeck" In At Tuscaloosa. 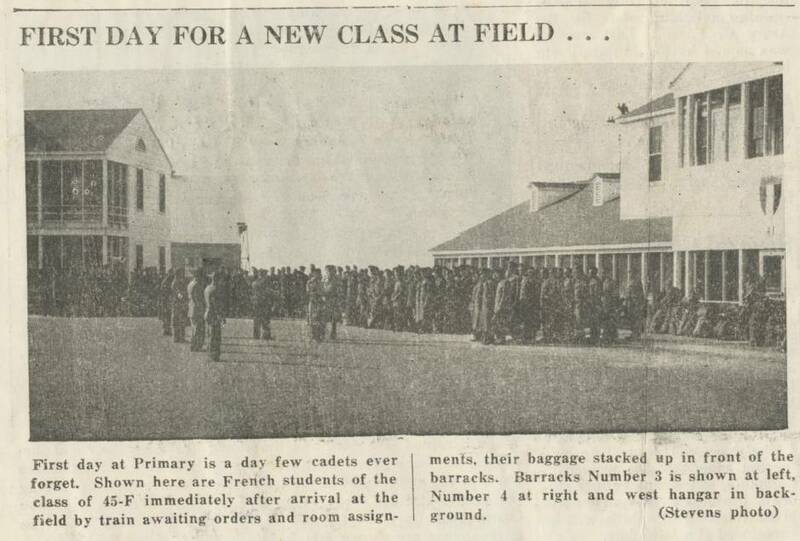 - 11 Juillet 1943: "French Cadets Training Here" (p2). 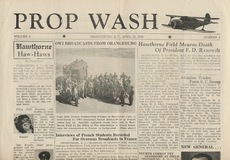 - 14 Juillet 1943: "French Cadets To Be Honored" (p3). - 22 Février 1944: "Free French Train Here". 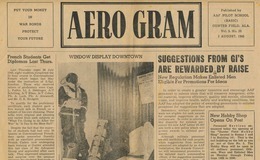 - 31 Mars 1944: "French Fliers Land a B-26, On A Steer, And Save Crew". 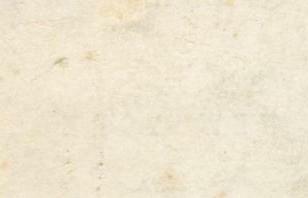 - 13 Juillet 1944: "French Fliers To Celebrate". 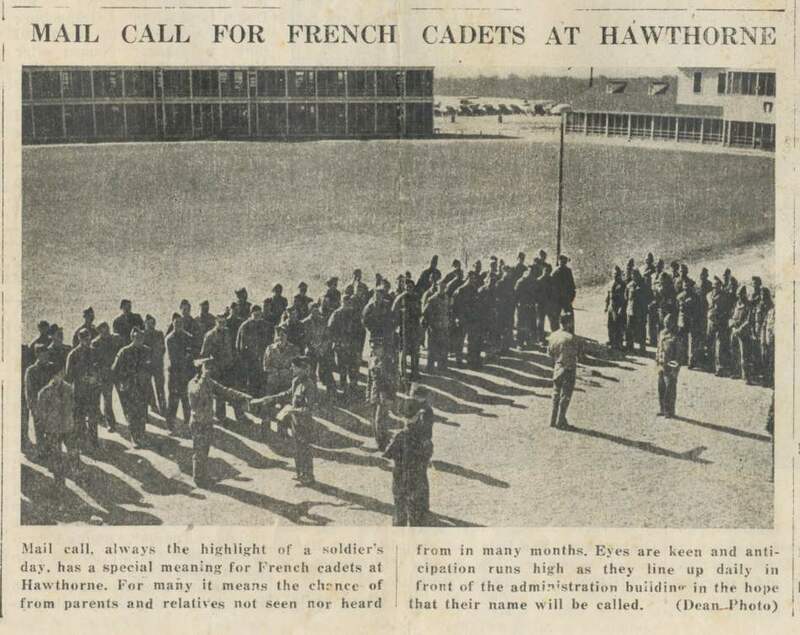 - 15 Février 1945: Mail Call for French Cadets at Hawthorne. 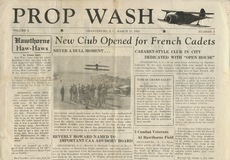 - 15 Mars 1945: New Club Opened for French Cadets. First Day for a new Class at Field. Growing Every Day. 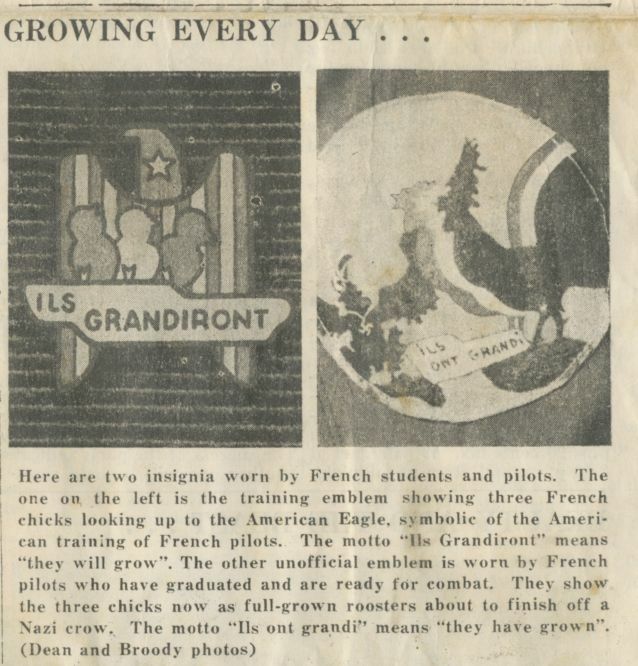 - 15 Avril 1945: Interviews of French Students Recorded Ford Overseas Broadcasts to France. 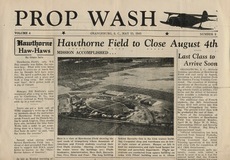 - 15 Mai 1945: Hawthorne Field to Close August 4th. Head of French Training Visits. - 15 Juin 1945: French Training to Continue 'til October. 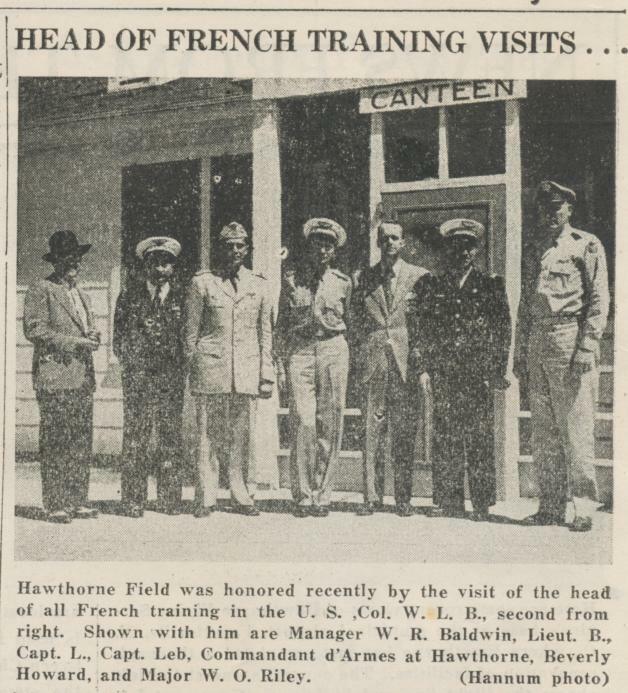 - 20 Mars 1945: "Free French to Train at Selfridge" (p1, col 7). - 3 Avril 1945: "Colorful Soldiers of France Heads Selfridge Groups" (p7, Col 3). 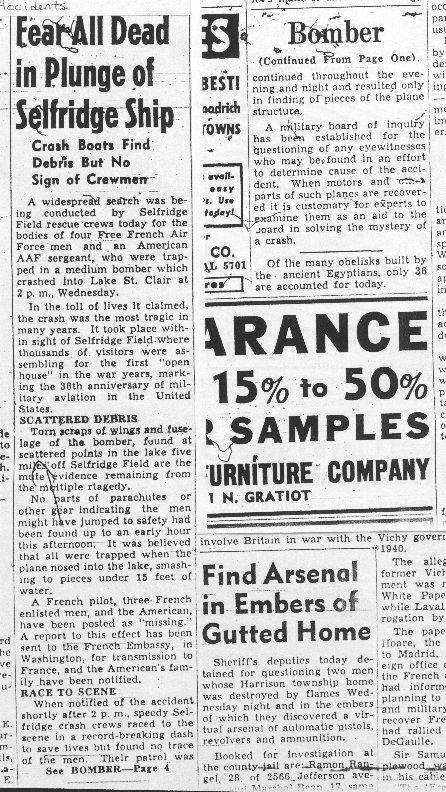 - 2 Août 1945: "Fear All Dead in Plunge of Selfridge Ship" (p1). 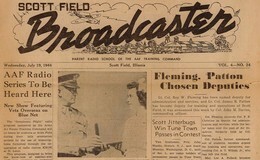 Fatal blast Probed by Military Board (p4). - 28 Août 1945: "De Gaulle Visits Selfridge" (p1, Col 1). 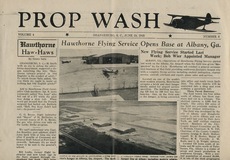 - 19 Février 1946: "French Troops Leave Air Base" (p1). 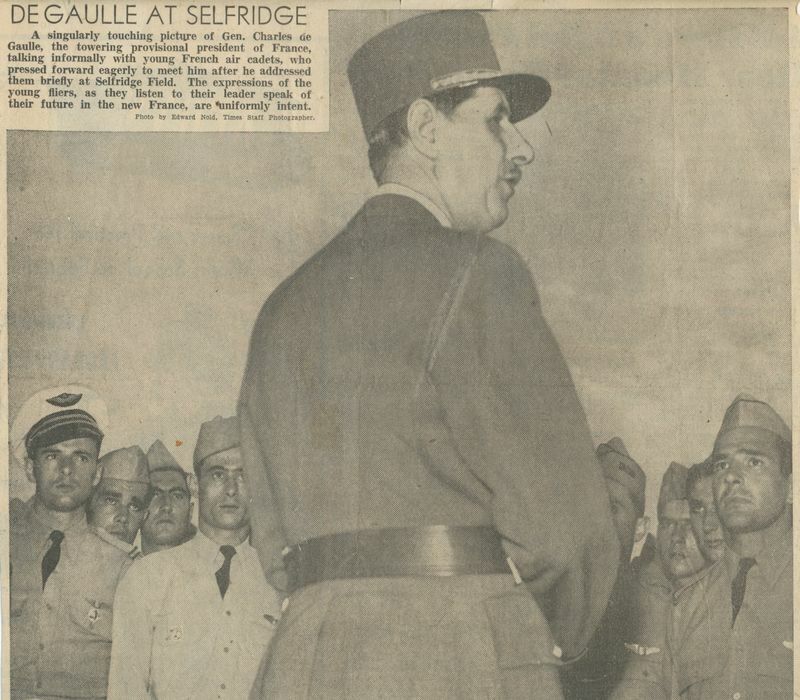 - 28 Août 1945: "De Gaulle at Selfridge Meets French Fliers". Published by AAF PILOT SCHOOL (BASIC) - GUNTER FIELD (Al). - 3 Août 1945: French Students Gets Diploma Last Thurs. PARENT RADIO SCHOOL OF THE AAF TRAINING COMMAND. 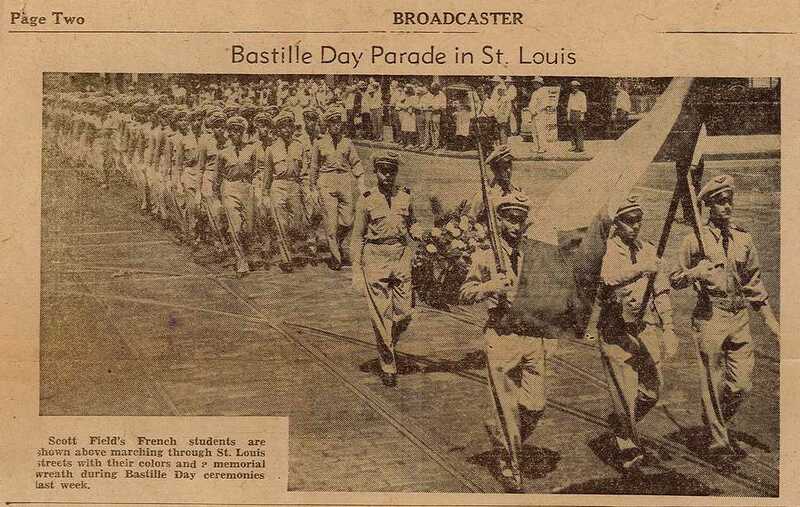 - 19 Juillet 1944: Bastille Day Parade in St Louis (p2). 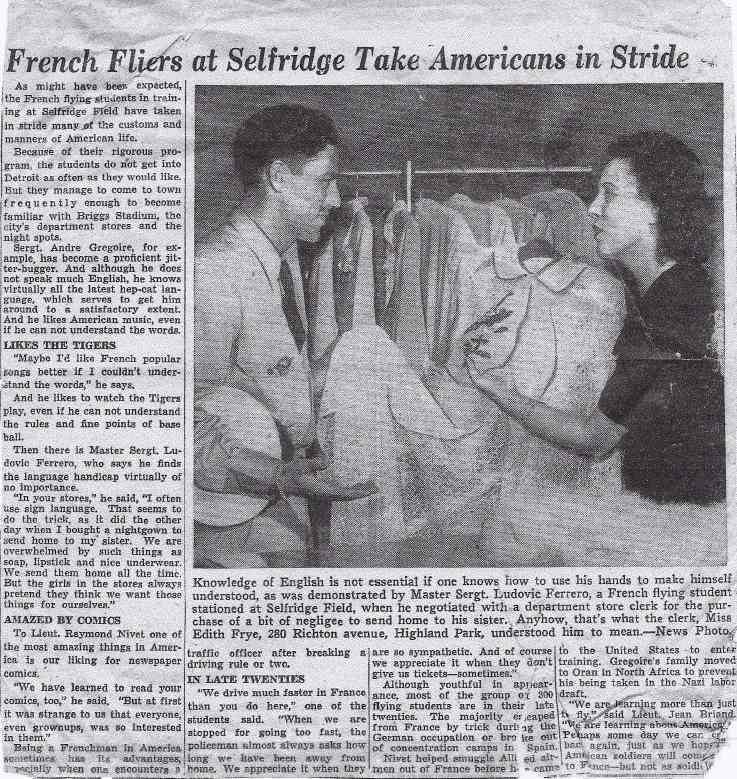 - French Fliers at Selfridge Take American in Stride.